Are you frustrated with your YouTube videos which aren’t driving any traffic? Are you not getting enough subscribers to your channel? Well, these are some of the common problems which many YouTubers are facing today. I know you are too in the same boat. But what if I tell you that you can tackle all these problems by just installing a browser add-on. That’s right, today I will be doing TubeBuddy’s Review which is a YouTube approved tool to manage your YouTube channel. So, if you are someone who created or owns a YouTube channel but couldn’t attract viewers to your videos. Then this is a must read for you all. It lets you track the ranking of all your videos. Backup your title, tags, description etc of all your videos in excel or google docs file. Let you know the best time to upload videos when your audience is most active. 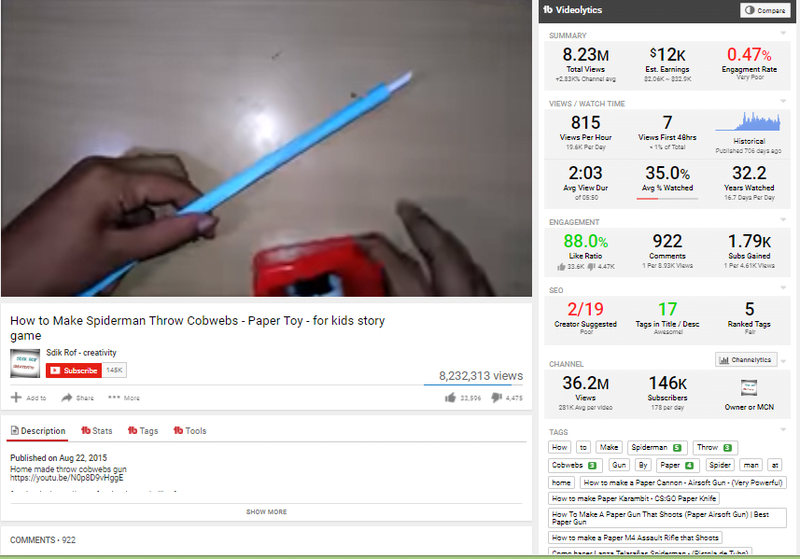 Compare the analytics of your channel with your competitor’s channel. 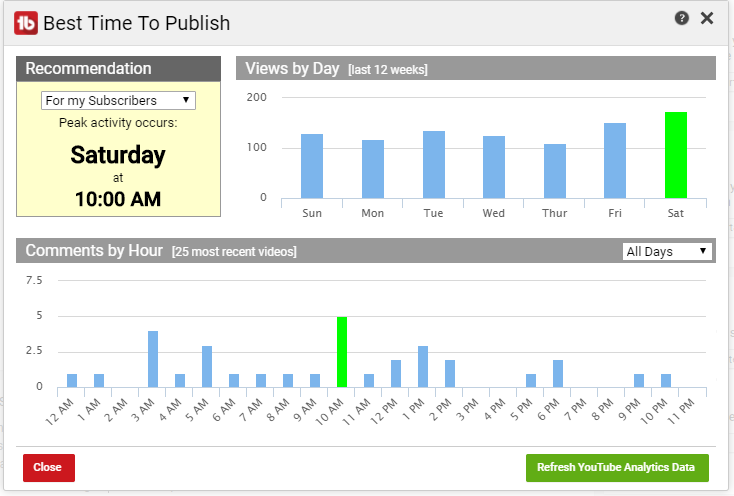 View analytics for any video. 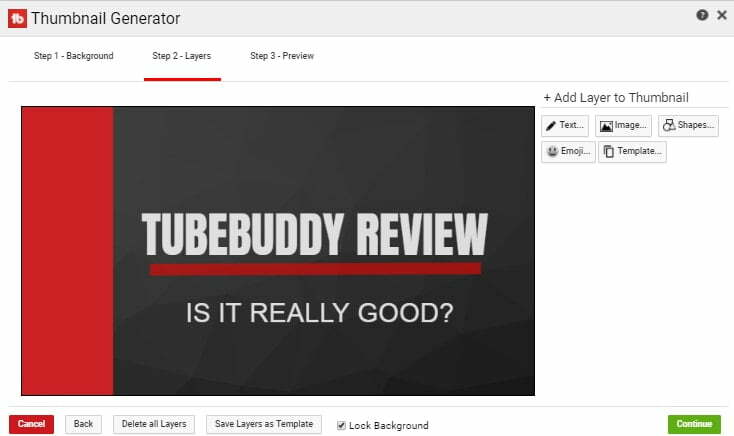 Lets you create thumbnails for videos within TubeBuddy. 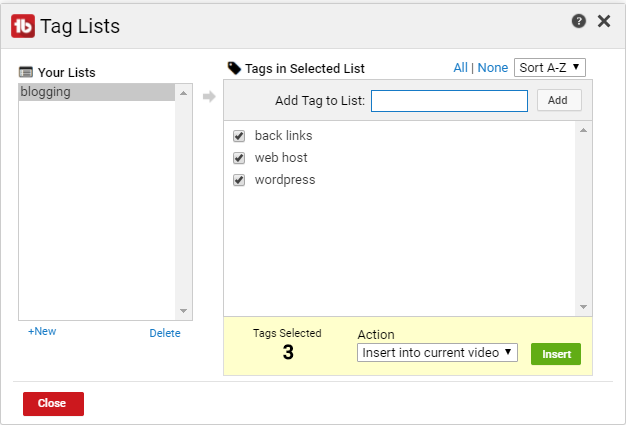 Save all the list of tags that you use frequently and use it in videos with just a single click. Find easy rankable tags which when included in the title & description of videos will easily help them to rank. If you feel lazy to scroll down, then click on below links to go straight into the section. TubeBuddy is a browser extension (aka browser plugin) that includes a set of tools directly on top of YouTube’s website. TubeBuddy was launched in December 2014. The company has been making tools for YouTube for more than 11 years since before YouTube was even known. So, this makes them even more trustable. 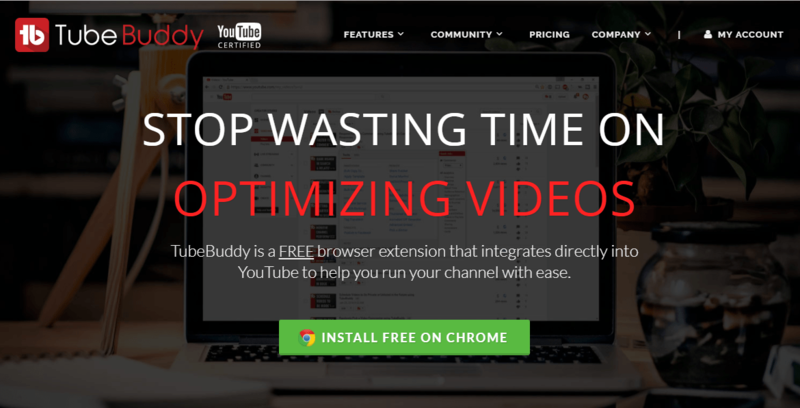 TubeBuddy offers a variety of features which makes managing YouTube channel easier & more productive. I have divided all the features into 4 categories. Comments – Directs to your comment section. You can reply to each comment without going into the video directly. Subscribers – Navigate to your subscriber’s list where you can export them to CSV file along with other details. Analytics | Real-time – Can go directly to your analytics & real-time page. Let’s see each one in detail. 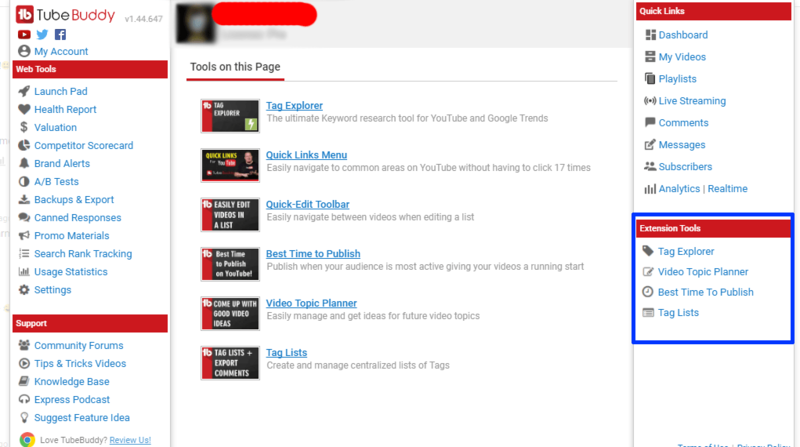 Tag Explorer is a YouTube keyword research tool. 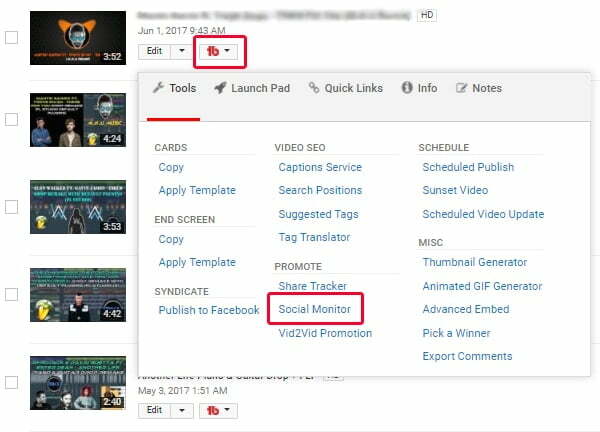 Basically, what it does is, it can suggest you some awesome tags based on your content that you can include in your videos tag section. 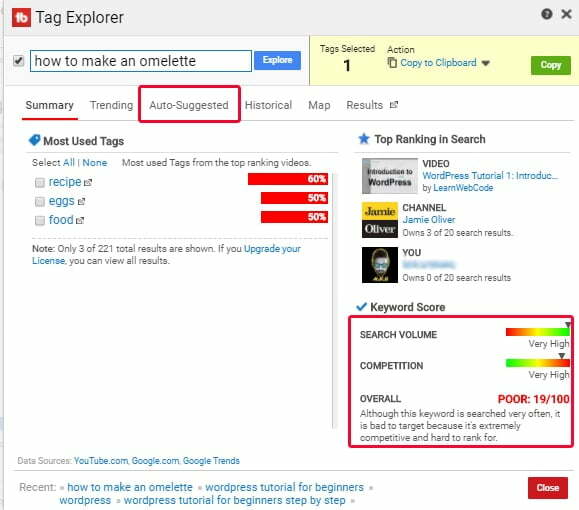 These tags are easier to rank and thus this eventually boosts your video views. 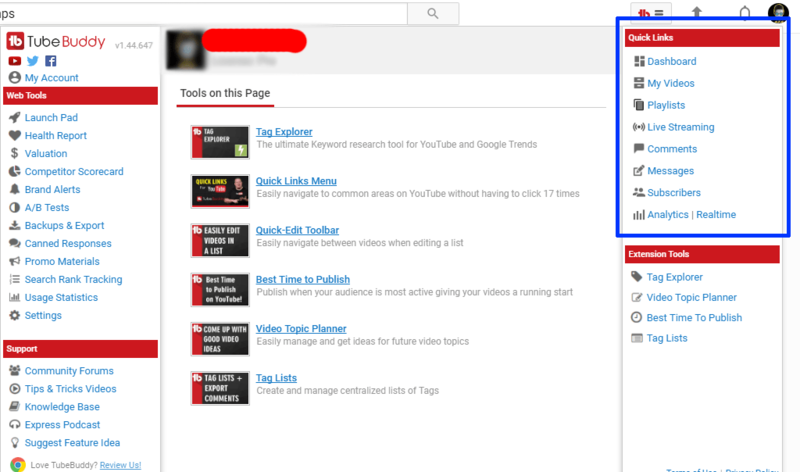 You can access it by navigating to the TubeBuddy icon and then click Tag Explorer under Extension tools. 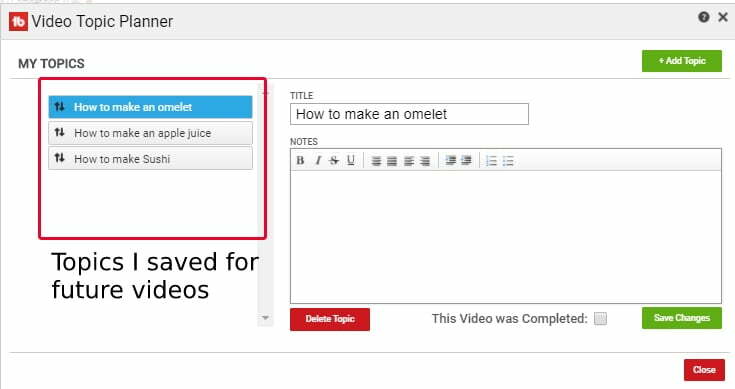 Suppose, I want to create a video on how to make an omelet. 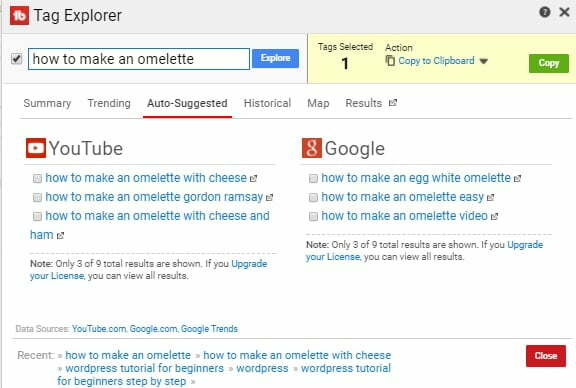 So, I would search for something like “How to make an omelet” in Tag explorer. As you can see, it is clearly indicating that this tag is very difficult to rank. So, I clicked auto-suggested option indicated by a red square on top. It gave me the following tags to target. 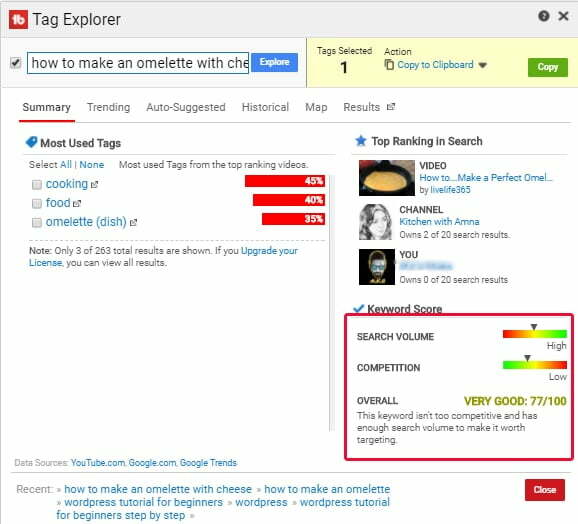 As you can see, when I selected “How to make an omelet with cheese” tag, it is showing “very good” overall rating. This means if I create a video on the same topic and upload it to YouTube using this tag, I have better chances to rank on the first page which I think is quite great. If you are having different video topics that you are going to create for the next 6 months or 1 year. Why not, you save those ideas on TubeBuddy. It offers a video topic planner where you can save all your video topics. 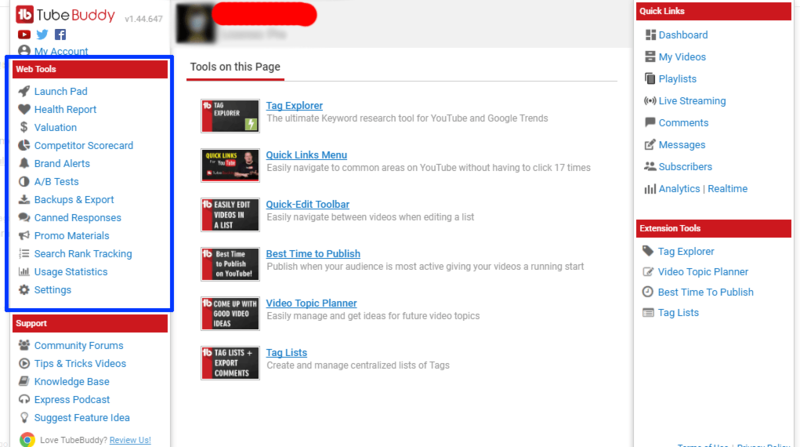 You can access it by navigating to the TubeBuddy icon and then click Video topic planner under Extension tools. As seen below, just for an example, I saved 3 video topics. (Well, I don’t know cooking :p). Additionally, you can also include notes to make your ideas more descriptive. There are times when you upload your video and barely gets any views. However, sometimes you get more views instantly after uploading the video. How do I know which is the best time to upload videos? This is the part where TubeBuddy plays the major role. It lets you know on exactly which day of the week & at which time, your audience was more active. This is the best time you can upload your videos to gain more early views & engagement. You can access it by navigating to the TubeBuddy icon and then click on “Best Time To Publish” option under Extension tools. You see, it is suggesting me the best time to upload the videos i.e. on Saturday at 10:00 am. Seriously, how cool is that? You can also shuffle the time between subscribers and non-subscribers by going to the desired option under recommendation in the screenshot. Being a YouTuber, you must have been using different tags that are repetitive in every video. Before using TubeBuddy, I had to write those tags again and again which is kinda time wasting task but equally important as well. If you are in the same boat, then you can use the Tag List feature where you can store all your tags. As an example, I saved tags related to blogging. Below is the screenshot. 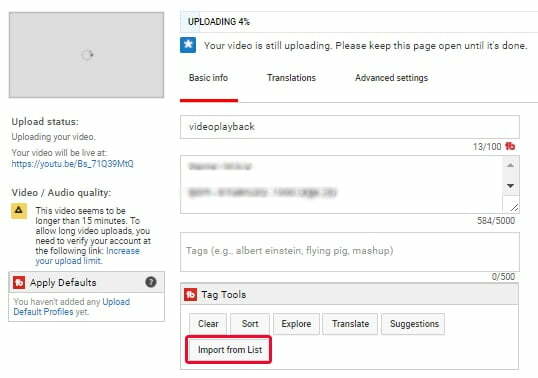 Next time, whenever you are uploading a video, you will get an “import from list” option. Clicking on that will let you add the saved tags with just one click. Launch Pad – This is basically a TubeBuddy dashboard where you can access all the videos. Valuation – If you have a decent number of subscribers, then you can make use of this feature. It lets you know how much to charge from brands for shoutouts. Additionally, you can know your channel’s worth in terms of dollars which eventually indicates whether it is on a rising or falling side. Competitor Scorecard – It lets you compare your channel with your competitor channels in terms of views, subscribers & uploads. You can also export a printable report showing data about your competitors. Brand Alerts – If you are a brand or product channel and someone uploads videos about your product or brand, then you can get an alert using this option. Thus, you know who are promoting your stuff in a positive or negative manner. A/B Test – Using this option, you can try different types of thumbnails, titles, description on your video and see which one works best for you. Also, it lets you know whether your search traffic will get affected if you tweak your title, description or tags. BackUps & Export – You can backup your channel’s video title, tags, description etc in excel or google docs file. Canned Responses – If you are tired of answering messages having repetitive questions. Then this feature will let you personalize your message & write them faster. Promo Materials – This option will convert all your videos, thumbnails, channel banner into links which you can share on social media for promotion. Search Rank tracking – It will let you know the current ranking of your videos. 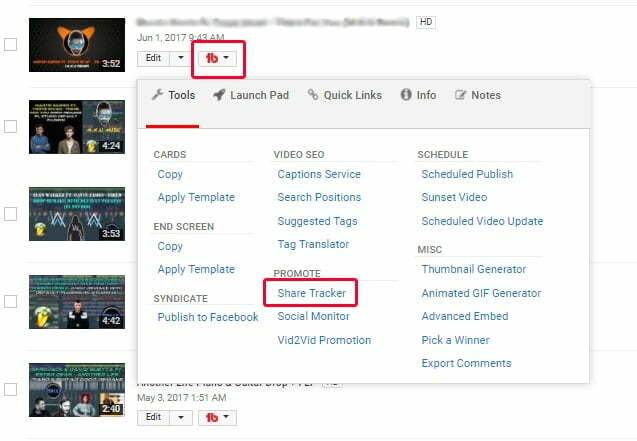 Plus, you can find out which tags are helping your videos to rank & which aren’t. Usage Statistics – This feature shows all the different usage statistics. Along with that, you can see how much time you saved using TubeBuddy & can know the productivity cost as well. 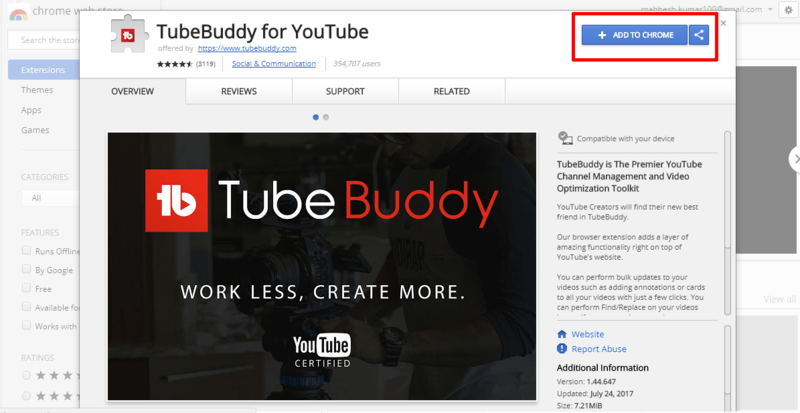 Setting – Clicking this will lead to your settings page where you can configure TubeBuddy. Now, let’s move on to the fourth category. Publish to Facebook – You can publish your video directly to Facebook with just one click. 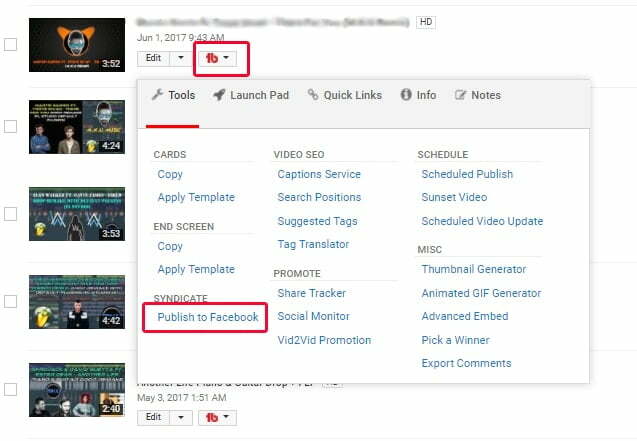 All you need to do is click TubeBuddy icon by going to the video list & then select “Publish To Facebook” option. Thumbnail Generator – You can create your own video thumbnail without visiting any photo editing tool. Simply click “Thumbnail Generator” under edit video option. This will give you 3 options i.e “a still from video”, “a solid color” & “an image”. Choose the appropriate and create your own thumbnail. As an example, I created the below thumbnail. Share Tracker – It lets you share your videos on multiple social media platforms and track which ones you’ve shared on which social media. 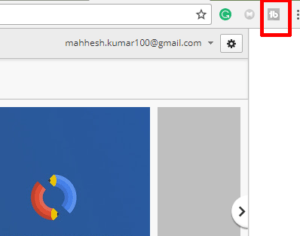 You can do that by clicking on Share Tracker under edit option. Social Monitor – Using Social Monitor, you can see who all are sharing your video on Social media. You can look up for Twitter, Facebook, Reddit, Pinterest & Google Plus. You see, one guy shared my video on Twitter. 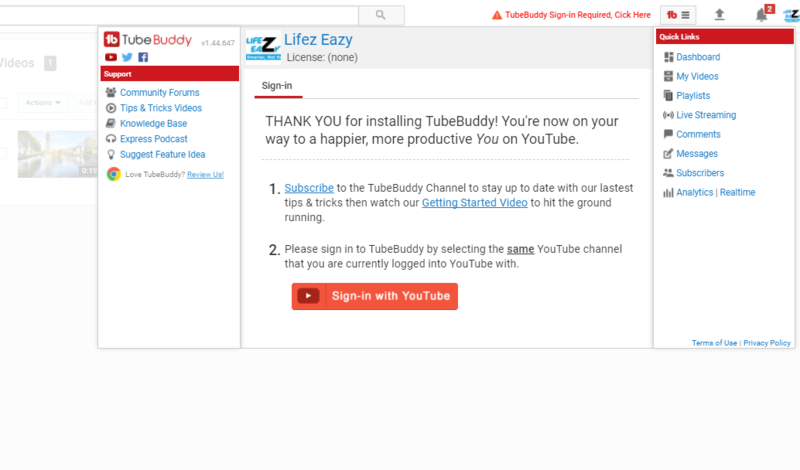 Now let’s see how to install TubeBuddy extension on Google Chrome browser. Same can be done for Firefox, Safari & IE too. 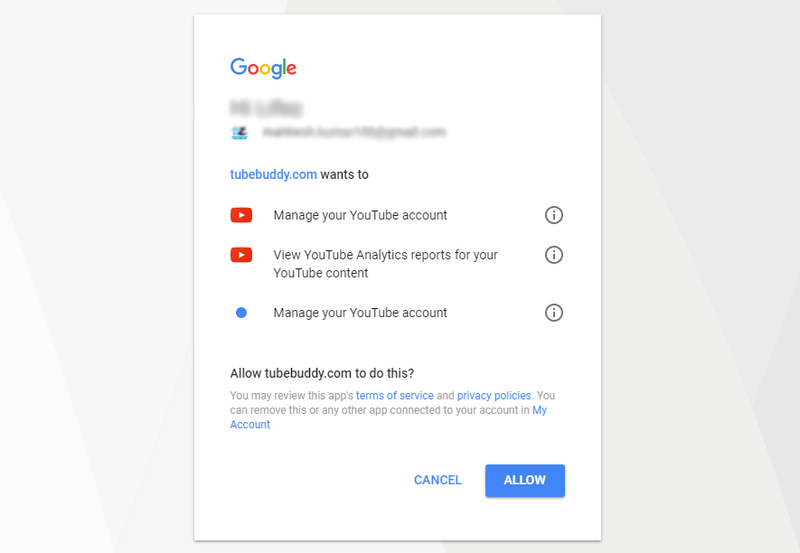 First, go to TubeBuddy website & then click Install Free On Chrome. A window will open. You need to click Add to Chrome button on the upper right side. It will automatically install the extension on Chrome and you will see this icon on the top right side. 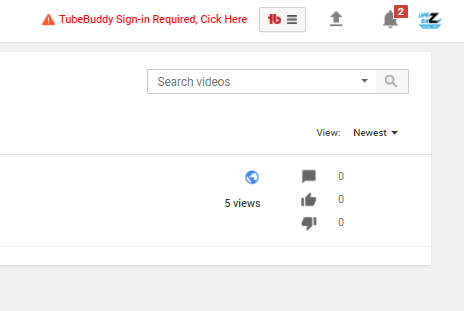 Now log in to your Youtube channel & you will see this message which means that your Channel is not connected with TubeBuddy. 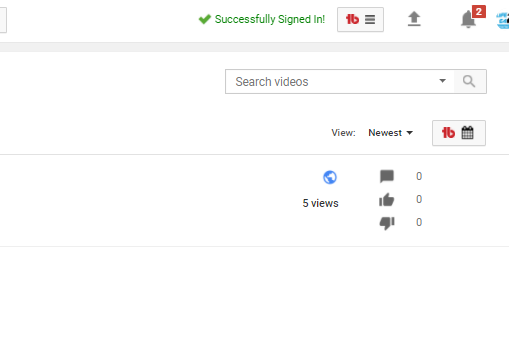 Simply click TubeBuddy icon and click Sign in with Youtube. Next window will ask for permission. Click Allow. After it has been connected, you will see this green message. Congratulations, TubeBuddy is successfully installed & connected to your channel. Now, if you want to know the statistics of any video, simply visit and check its stats like tags, estimated earnings, shares, like ratio & also many other features. You can see below screenshot. Now there are four plans which TubeBuddy offers. One is free & the other three are premium (paid) plans. It is more suitable for those YouTubers who have a good amount of subscribers and already earning money from it. Using this plan, they can further enhance & grow their Youtube channel. Yes, the good thing about Tubebuddy is that they provide some bunch of discounts so that you can decide whether you wanna try them or not. If your YouTube channel has less than 1000 subscribers, then you can get a 50% discount on Pro plan. This means you will just have to pay $4.50/mo instead of $9. If you decide to go for a yearly plan, you can get 20% on all of its plans. 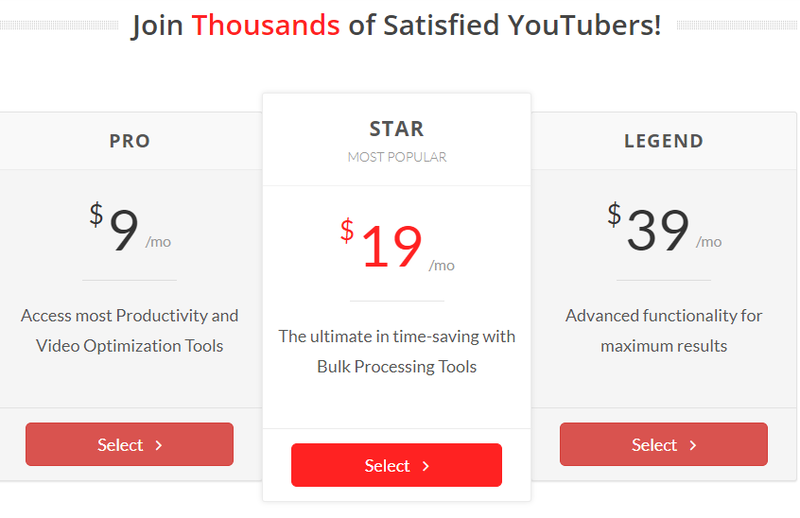 If you have multiple YouTube channel and want to have TubeBuddy license for all of them, then you can get a substantial discount on bulk purchase. You can contact their support team regarding the same. 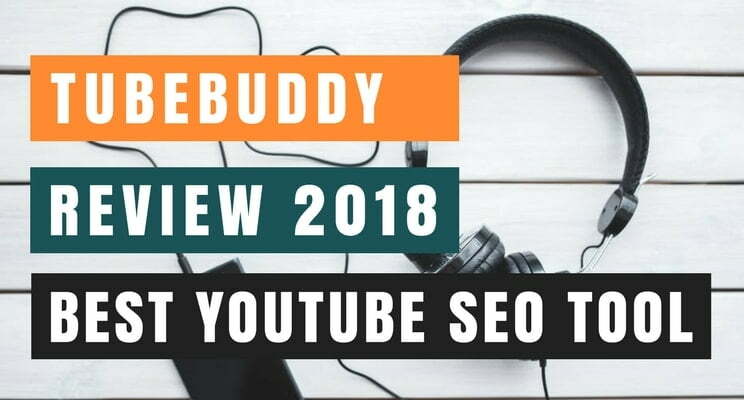 TubeBuddy works with different YouTube Networks who offer free TubeBuddy Star level upgrades to their partners. If you work under any MCN network, then you can ask them for the same. If you work for 501(c)(3) Organizations, then you can get 25% off on any TubeBuddy plans. Being a TubeBuddy member, if you think that’s all you get, then you are absolutely wrong. Buying the paid plan can land you into many perks. It gives some special privilege to the paid members that are amazing for YouTube creators. Amazon Alexa – By installing Amazon Alexa app and enabling TubeBuddy in it will give you the ability to ask anything related to the YouTube. Whether it is the live subscriber count or the performance of the recently uploaded video, you can get a voice update on anything. All you need to do is Ask Alexa. Audio Hero – Audio Hero is a website that offers 250,000 Premium Royalty free music tracks & sound effects. Tuber Tools – They offers High-Quality Graphics and Video Effects for your YouTube Channel. Juke Deck – Juke Deck is a Musical Artificial Intelligence website which creates computer-generated audio tracks automatically. You can use them in your videos. Epidemic Sound – It provides cutting-edge production music for your YouTube Content. 3 Play Media – If you want captions for your videos, then they provide professionally transcribed captions for your YouTube Videos. YouTube Starter Kit – If you are looking for templates for channel art, thumbnails, YouTube end cards, YouTube live and also some guides on how to grow your channel and what equipment and software to buy, then you can buy YouTube Starter Kit which is provided by Awesome Creator Academy. YouTube Stock – Download Professional 4K no-copyright motion graphics and sounds from them. During that time, I came to know about Tubebuddy by reading an article. Also, many people have shared their positive experiences with it. So, I thought why should I give it a try because obviously, it was free to use. After installing, I was pretty amazed by seeing all the tools on my YouTube channel. It was like a place where you can manage all your YouTube channel activity with ease. After using it for a few months, I also bought their Pro plan to have access to its other tools as well. To be honest, if your channel is small or big, you can definitely install it to learn more about your YouTube activities which are actually rewarding for making future videos. I have even seen big YouTubers who have installed this tool on their channel. Moreover, Tubebuddy is a YouTube-certified tool so there must be no problem. Till now, many people have installed this tool under my recommendation. 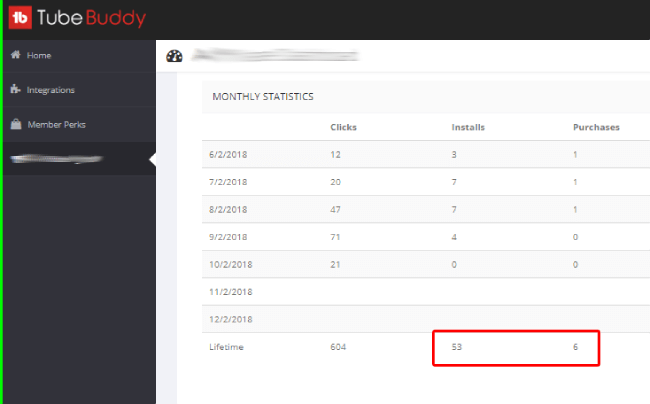 As you can see, 53 people have installed the free version of TubeBuddy till now. Also, 6 of them have even bought the paid plans. So, in short, my experience was awesome. Do let me know what was your experience if you prefer to install it. Well, I love this tool and have been using it for almost one year without any problem. As I am a blogger, so I spend most of my time blogging and not on YouTube. But I can certainly tell that this tool is definitely worth the time. You can save a heck lot of time and can invest more time in content creation. 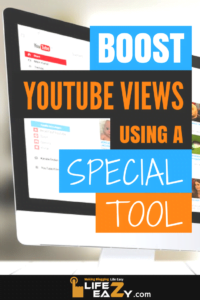 This is an all-in-one YouTube SEO tool on steroids to manage your YouTube channel no matter whether it is big or small. My recommendation will be to try the free version first and If you liked it, then go for its paid plan. That’s all guys. I hope you liked my review. If you have any questions, you can drop that in the comment section. Cheers.